I am not a huge beer drinker. 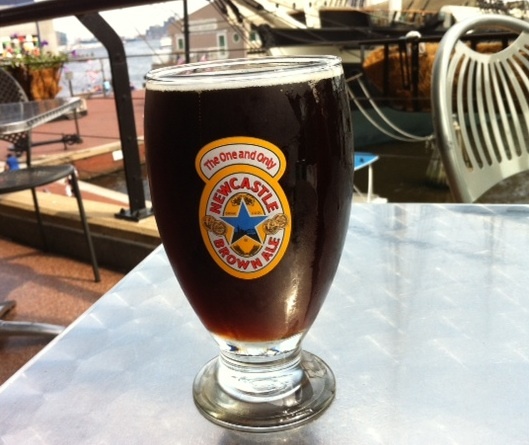 However, if there is one beer that I enjoy, it is Newcastle Brown Ale. From the slightly sweet, slightly bitter taste, to the rich color and smooth finish, this English beer is one of the best. 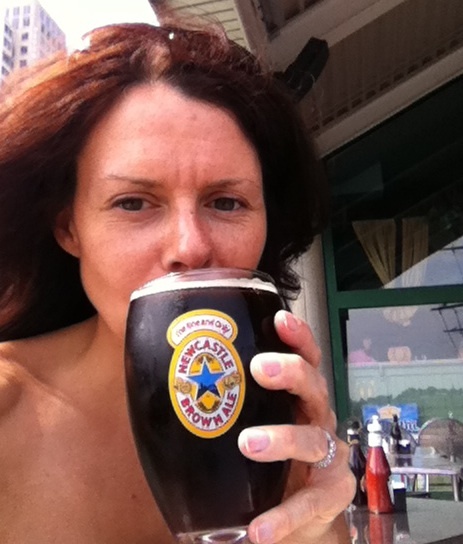 I first tried Newcastle many years ago upon my first trip to England. I remember the bartender telling me a bit about the beer and that it was best to drink it from draft opposed to bottled. I also learned that the beer was known affectionately as “the dog” in England, short for “walking the dog”, which is a euphemism for going out for a drink. Back in the States, it’s a challenge to find Newcastle anywhere (it was everywhere in England) – but especially on draft. However, on my recent trip to Baltimore, I was excited to see Newcastle on draft at Tir Na Nog, an Irish pub in Baltimore harbor. The following week, while in Orlando, I found Newcastle on draft in downtown Disney at Raglan Road. On both occasions, I had to indulge – or walk the dog – for old times sake. Who knows, maybe on my next trip, it will be third time’s the charm!